Wreck-It Ralph opened in theatres yesterday! My daughter can’t wait to go see it. Here’s a fun Wreck-It Ralph puzzle for your kids to enjoy. Also, check out this featurette to learn more about the characters in Wreck-It Ralph! 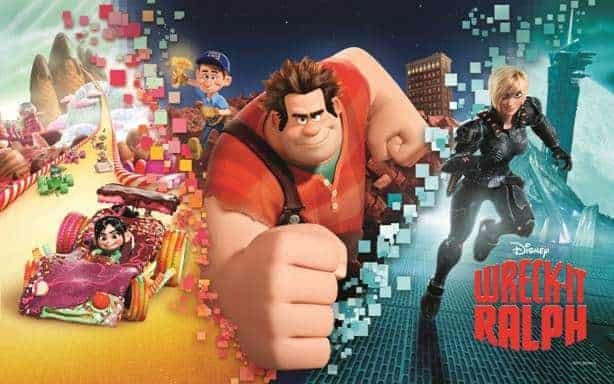 WRECK-IT RALPH is in theatres everywhere NOW! This is such a cute movie! I really like the characters and the Wreck it Ralph puzzle! What fun things to do with the kids! Wreck it Ralph is such a fun movie for the kids. Im sure my grandson will want to see it. the movies when hes here at gramma house. I actually have fun too. Wreck it Ralph is cool and cannot wait to take the kids. This looks so cute! The puzzle IDK about. It probably looks better printed! TY! The grandkids are going to love this! I have a 5 year old son, and he is so excited about going to see this movie.. I have been loving the givewaway and reviews on it! Ugh! I can’t wait to see this!!!!!!!! The kids are going to like this movie and to be able to do activities along with it. I am looking forward to seeing the movie, and wanted to thank you for posting reviews about the games and puzzles, books, etc.! Thanks. I cannot wait to see this movie!! Looks awesome and you can never be too old for a good animated movie! Thanks for the activities. My niece & nephews will enjoy them. My son LOVED this movie! So cute.